It's a dilemma we've all had in New York City: You want to go out for a drink, but you'd rather not take out a loan. While there's been a major push for fine cocktails, craft beer, and miraculous feats of mixology in ​Manhattan, there are still plenty of places around town that will serve up a drink without costing you an arm and a leg. Here are 10 of the best cheap bars in NYC. 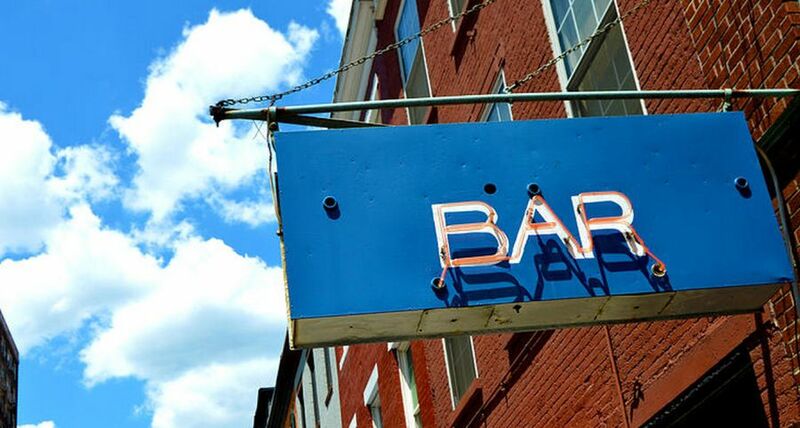 You'll probably notice that the majority of them are no-frills dives, but they all offer great deals during happy hour, or simply keep the drinks flowing on the cheap all day long. Rudy's is one of the great historic dives in New York. Located in Hell's Kitchen, its history goes back to 1919, when the space was used as a speakeasy. Today, drafts and well drinks are as low as $3, and that's not even happy hour prices. Pitchers are really affordable too. On top of that, you get a free hot dog with the purchase of a drink. 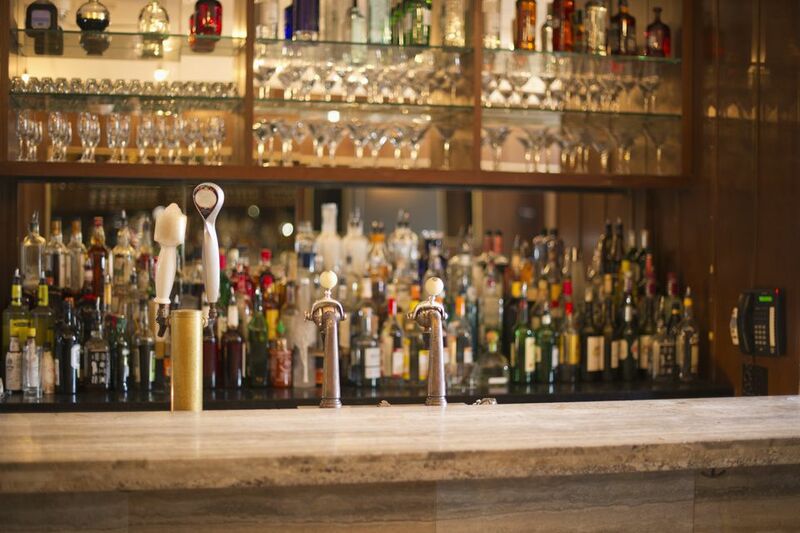 Located on the Lower East Side, Local 138 is a great, relaxing bar with one of the best happy hours around town. Every day from 4 pm to 9 pm, you can purchase $3 drafts, $3 wines, $3 well drinks, and $2 PBRs. They don't mind food from outside either. While the majority of bars around the Theater District are overpriced, that's not going to be a problem at Jimmy's Corner. Full of boxing memorabilia and completely unpretentious, Jimmy's Corner keeps drinks affordable throughout the day without needing a happy hour. It's a great place to stop by before or after a Broadway show or to simply to get away from the bustle of Times Square. 90 Greenwich Ave. at W. 12th St. This former East Village laundromat is now a solid bar to unwind at, and its all-week-long happy hour helps keep things affordable. Every day from 3 pm to 8 pm, customers get beers priced at $3 to $5, $2 off spirits, and $3 off wine. 211 Avenue A at E. 13th St.
You might not expect to find affordable drinks in the moneyed Financial District or near the tourist-hub South Street Seaport, but that's what Jeremy's Ale House is for. Pints typically run between $4.75 and $5.50, but the real draw is the quarts. Served up in a 32-ounce cup, quarts of beer range from $6.50 to $9.00. It pays to drink in bulk. This East Village dive tends to be crowded and full of young hipsters, but it's a great spot for cheap drinks. Happy hour runs every day from 5 pm to 8 pm, and it's buy one, get one free. Botanica Bar in Nolita feels like a remnant of New York's past, the sort of low-key spot where musicians and artists would spend their evenings drinking. The bar has a solid weekday happy hour from 4 pm to 8 pm, with well drinks and draft beers priced between $4.00 and $4.50. Botanica also hosts karaoke on Sunday nights. A tiny Alphabet City drinking spot, B-Side boasts happy hour every day of the week from 3 pm to 8 pm. During happy hour, it's half-price for beer and well drinks, and there's a $5 special on PBR paired with a shot of whiskey. A good option for cheap drinks in the West Village, Greenwich Treehouse has different drinks specials going on throughout the week. Happy hour is from Monday through Wednesday and Friday from 5 pm to 8 pm, and includes $4 well drinks and $2 off everything else; Saturday happy hours run from 3 pm to 8 pm, and Thursday-night drink specials have staggered pricing during each hour of happy hour.